Just up from our shop on Main Street lives the sweetest salon - Jones on Main - where two of the best stylists EVER run their biz. Owner Julie Jones + her protege, Sarah . 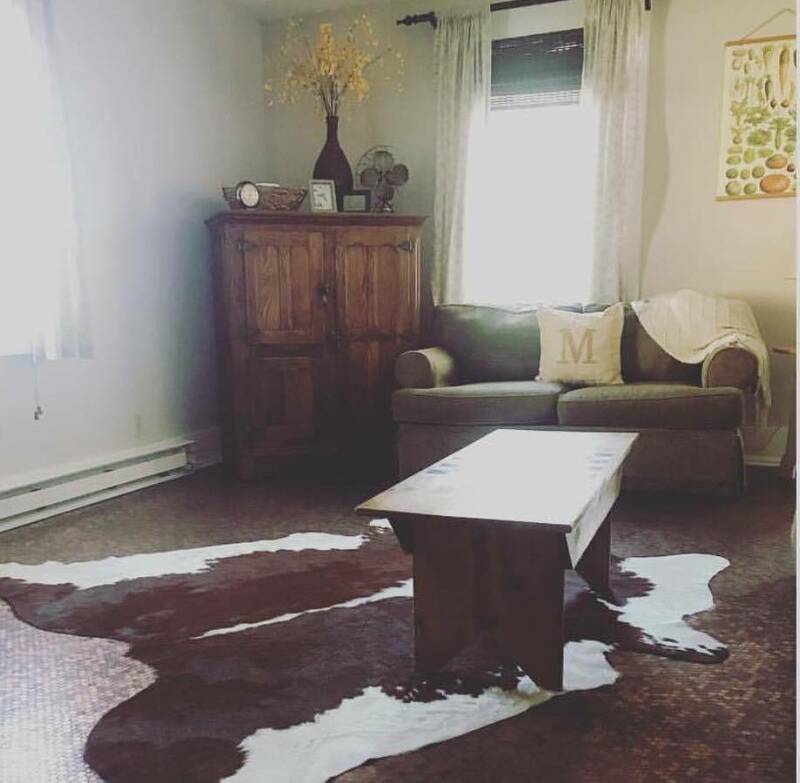 Last fall Sarah picked up this Hereford cowhide from Cactus Creek where it resides on the penny floor Sarah’s dad made for her. 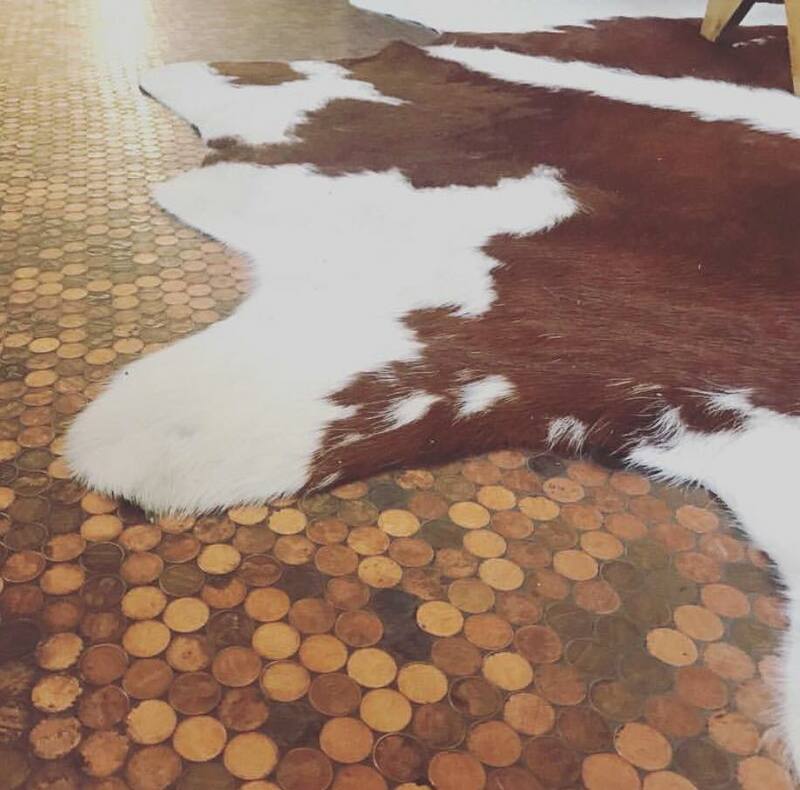 All of those pennies, so much time and love poured out right there. 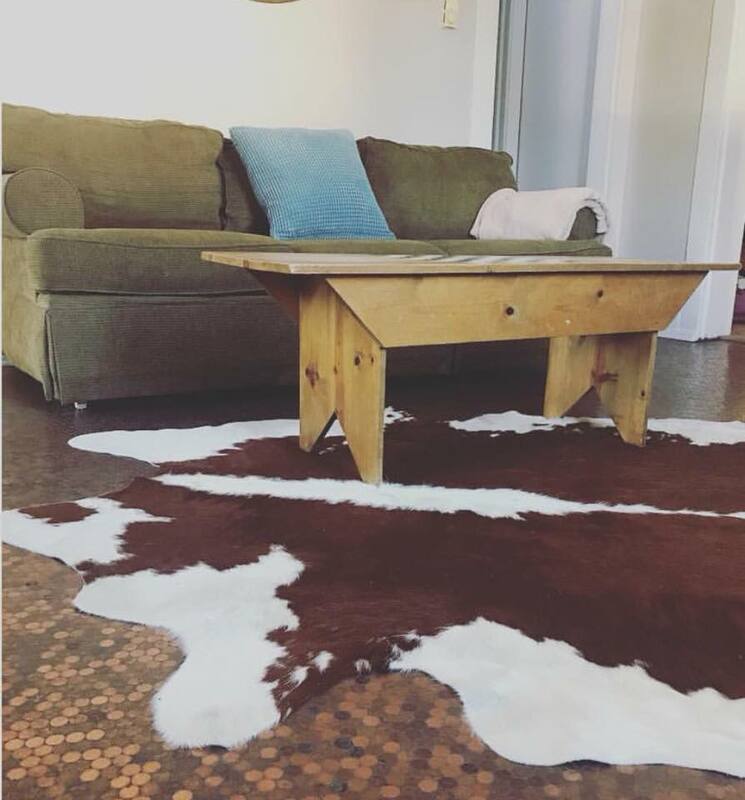 And the Cactus Creek cowhide is the perfect accent for the space.